A Magnificent Flower Bouquet that's Bursting with Colour! 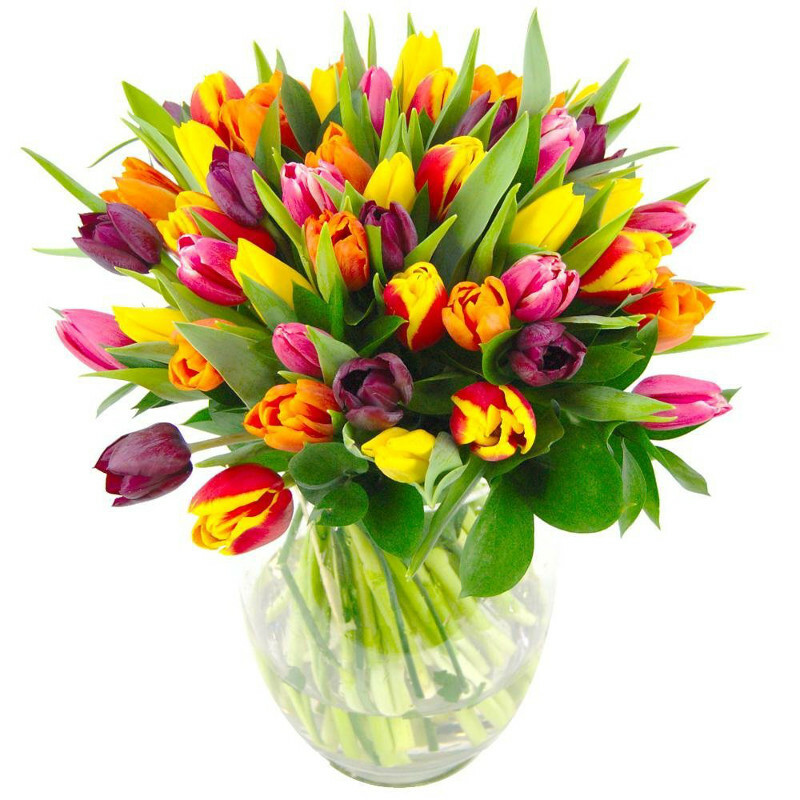 The eye-catching Mixed Tulips Bouquet Bouquet is the perfect gift for the tulip lover in your life. Containing beaming happy yellows, bright bursting reds, flaming oranges, vivid purples and lustrous pinks, they combine to form a scintillating display, with all the colouration of a rainbow. These truly tantalising tulips - exploding in colour with luxurious blooms are sure to make an amazing gift for that special someone. Evocative of sunny spring days in the countryside, there's nothing quite like fresh tulips to elevate your mood. As well as being the perfect gift, these gorgeous Mixed Tulips could also be used as a piece of floral decor for your own home. Send this lovely bouquet to celebrate an upcoming birthday, to say thanks or to send to your love to brighten their day all for just £29.99! Upgrade to a Gift Set: For an extra ?9.99 we will include a 110g Box of Lily O'Briens Chocolates, a Glass Vase and a Handwritten Card with your flowers as an extra special surprise. For that extra special personal touch, why not add a Handwritten Greetings Card, a delicious box of Lily O'Briens Chocolates, a chic glass vase or an adorable teddy to accompany your beautiful fresh hand-tied Mixed Tulips Bouquet bouquet. We also have this bouquet available as a Mixed Tulips Gift Set as well as a larger selection of arrangements containing tulips and an array of different gift sets to suit every occasion. Go Deluxe! Choose this option and our expert florists will add 20 more beautiful flowers for just £7.50!